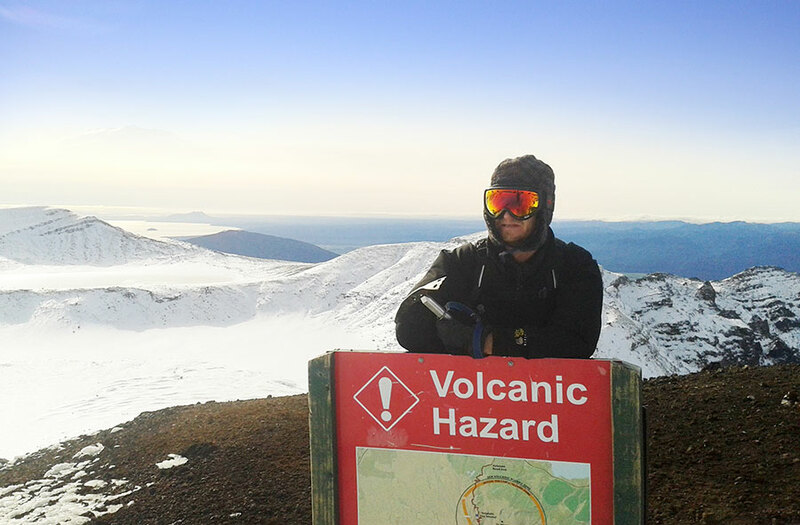 Tongariro Alpine Crossing shuttle one way service from Ketetahi road end to Mangatepopo car park. Enjoy the convenience of driving your own car to the track end! You’ll have the freedom to head home as soon as you have finished your hike. No need to wait for the next shuttle. 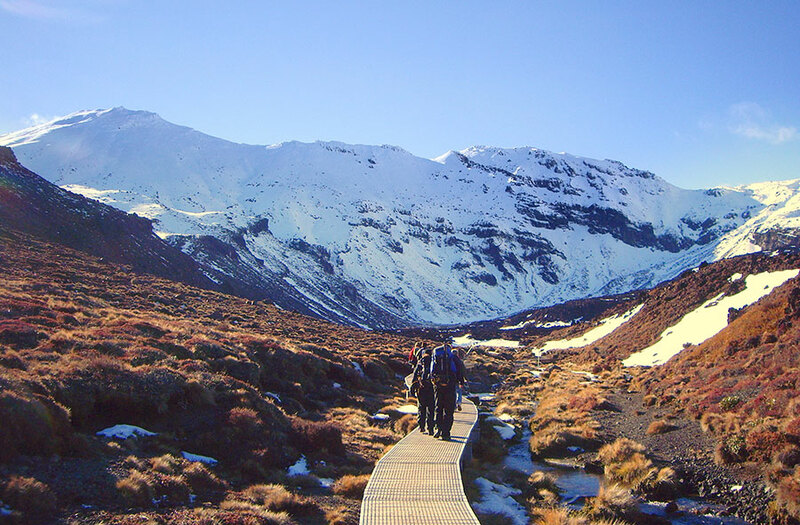 Our one way Tongariro Alpine Crossing shuttle service is a great option for those wanting extra time to soak up the views. With no set time schedule to meet, you are free to hike at your own pace, while knowing that your car is waiting for you at the finish. 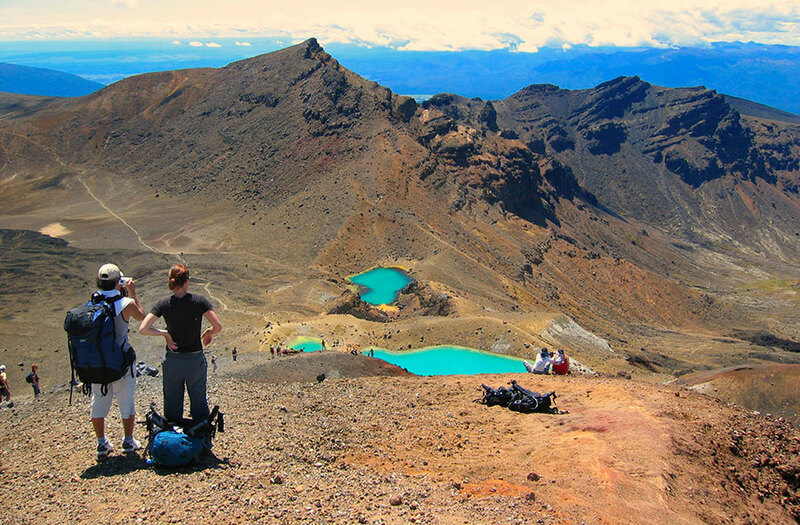 The Crossing is regarded in the top 10 one day hikes in the world and is considered New Zealand’s best! 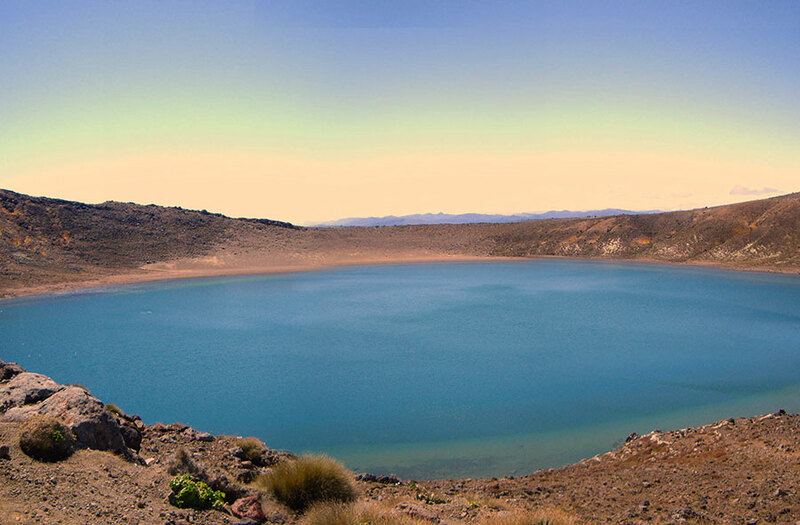 Traversing two active volcanoes, the Tongariro Alpine Crossing is situated in the world famous Tongariro National Park. A dual World Heritage Area. When the weather is great, the track can get really hot, so sunblock is a must have. The weather however can be very changeable so dress accordingly and prepare for the worst. Make sure you pack some warm clothes and a waterproof jacket and if you are unsure of what you need in your backpack then have a look at what to take. Check out Mountain Forecast for the latest in weather news. For more track information visit DoC. One way service from Ketetahi to Mangatepopo carpark. 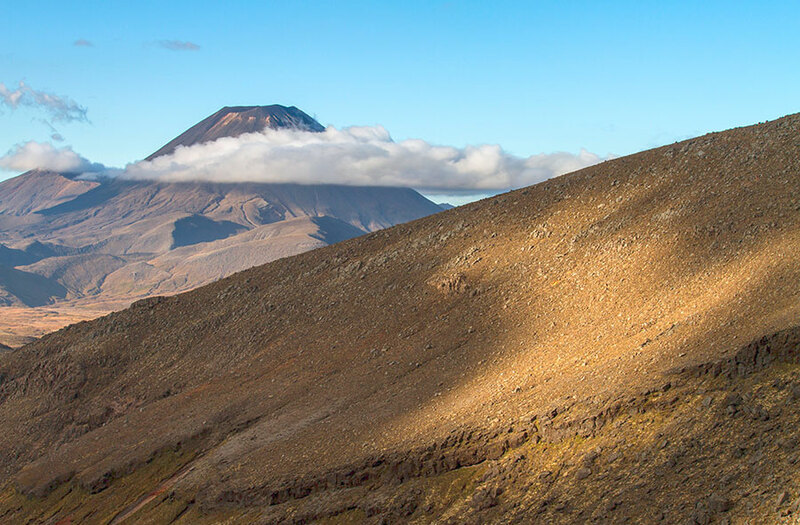 Our Tongariro Alpine Crossing shuttle one way service is ideal for those passing through the area. Our two shuttles depart each morning for maximum flexibility at 7am and 8am. 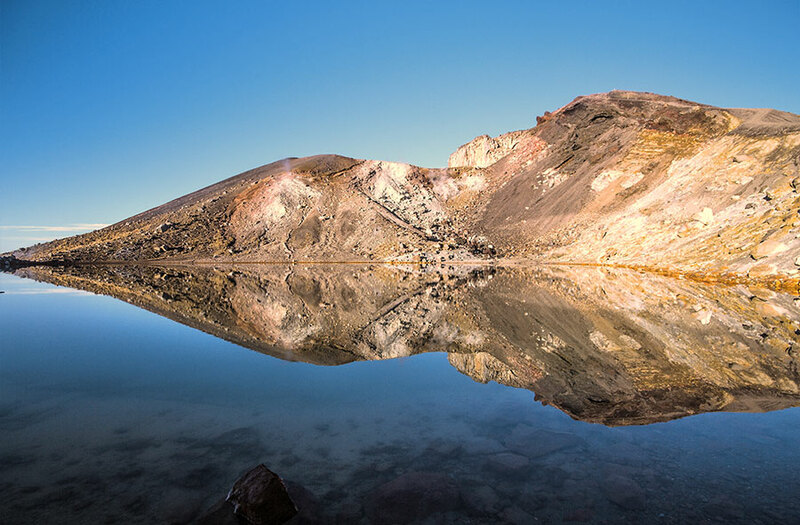 Your pick up point for the transfer to Mangatepopo departs from the Highway directly across from Ketetahi road end into the Tongariro National Park. You can park your vehicle at the secure car park opposite the Ketetahi road entry. Tongariro Crossing Shuttles secure car parking is included in your ticket when you purchase a shuttle ticket from us only. Please note there is a 4 hour restriction to park your car at Ketetahi car park. We are local to the Crossing area, so we monitor the weather closely and take advantage when it is better than expected. We do not cancel due to weather until the day itself. There is limited parking at the Ketetahi Rd end, so plan carefully and consider our return shuttle option instead to be sure. See the shuttle timetable for departure times.